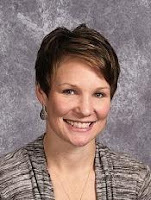 This edition of The Balcony View is guest written by Jamie Cranston, an aspiring school leader in the All-Iowa Principalship cohort at UNI. Jamie currently serves as an Early Childhood Special Education Teacher and Preschool Site Coordinator for the Newton Community School District. In early June I attended a special education conference in Des Moines with many of the administrators in my district. This conference was a first time experience for me. I had never attended a conference that focuses only on special education or even one that administrators attend. I am not sure that I have ever even attended a conference where lunch was provided!